Islamic history is full of stories of outstanding individuals from whose lives we can draw inspiration for ourselves and our children. Join our endeavour to reconnect with the lost heroes and heroines of Islam! 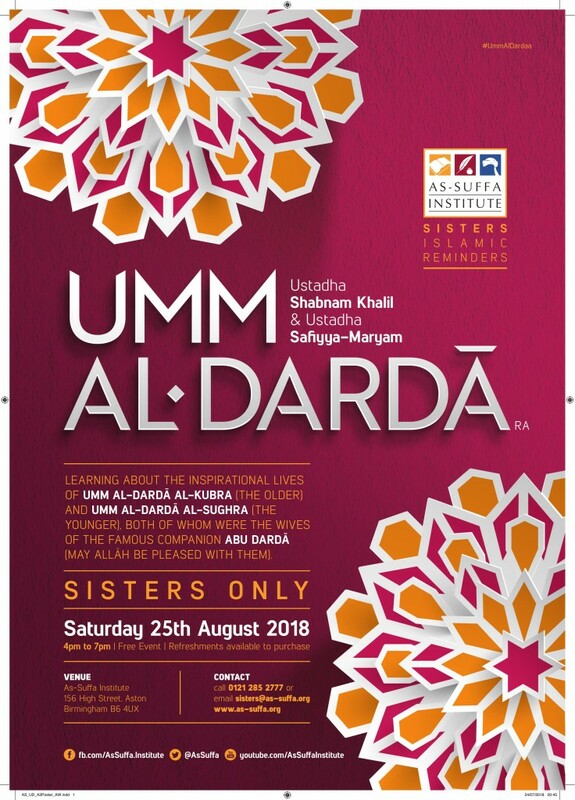 At this event we will be delving into the inspirational lives of Umm Al-Darda Al-Kubra and Umm Al-Darda Al-Sughra (r), both of whom were the wives of the famous Sahabah Abu Darda (r) and both of whom were women of exceptional character and calibre. All sisters welcome!